South Florida Luxury Condos - From South Beach and Miami Beach to Ft. Lauderdale Beach and everything in between - We've got your Condo! Sure South Florida weather is amazing! Yes we have beaches, beauty, culture, style, shopping, yachting, great hotels, restaurants, nightclubs marinas, golf courses and yes, the country’s most sought after real estate! South Beach, Miami, Miami Beach, Bal Harbour and Ft. Lauderdale Beach are some of the world’s most well-recognized brands, synonymous with ultra-luxury, golden white beaches, fine dining and some of the most beautiful architectural landscapes in the country. The backdrop for luxury real estate, design and opulent lifestyles has never been more alive than it is today in South Florida. From Bal Harbour to Coral Gables, Miami Beach to Golden Beach, Fort Lauderdale Beach to Fisher Island, life is so rich in our communities. Welcome to CondosandCondos.com. Explore some of the most luxurious Florida real estate from condos and houses, hotels and condo-hotels, to our beaches and of course our luxury homes and waterfront estates. Buying, selling condos and homes, leasing retail space, looking for a great commercial space, a large multifamily, an apartment complex, strip center or office condo? Are you a foreigner and first time home buyer in search of a professional to help educate and guide you through the buying process here in the states? Interested in a South Beach Condo or a deep water Miami Beach estate, a home on the Ocean or a great deal on a condo-hotel, preconstruction condos or a sensible real estate investment for a second home or investment property, I’m here to assist. Looking to buy a house or condo, a luxury home, estate or flat on the waterfront with an ocean view, I’ll find you that ideal condo or elusive dream home and make it possible for you to create that perfect South Beach, Miami Beach, Fort Lauderdale Beach, or Golden Beach lifestyle you’ve always been yearning for. Real estate is moving again and with great values there are great deals! 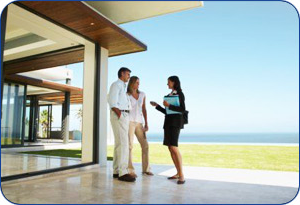 Of course, you’ll need a great realtor you can trust. Someone to act as your South Florida eyes and ears, to make sense of all the inventory out there and come up with a true gem of a deal! Need a knowledgeable, experienced and ethical realtor with vision? Someone that gets it and gets it done! Someone that works with common sense and that actually listens to what you want and matches your vision, your lifestyle and your budget with just the right property for YOU? My name is Steve Samuels. Let's talk today. Call 305.494.1767 or Contact me today! Steve Samuels is known as one of the premier real estate brokers in the South Florida market. His negotiation skills, market knowledge and no-nonsense, results-driven approach has made him one of the most sought after luxury condominium and single family waterfront realtors from Miami to Palm Beach County. CondosandCondos.com is one of the Leading Miami Real Estate websites where you can find Condos for Sale. Search for Luxury Condos in Miami, Miami Beach, South Beach, Sunny Isles, Hallandale, Key Biscayne, Bal Harbour, Fisher Island, Coral Gables, and all of South Florida.